Join friends for an early start to the day! 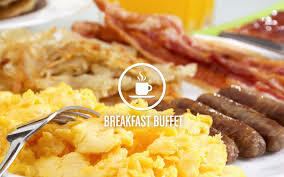 Buffet Breakfast: eggs, bacon, potatoes, fruit, danish, tea/coffee. Continental: coffee/ tea, juice, muffin and fruit! Invite a friend or two to see the lodge in the peace and quiet. Watch the news and chat with friends!